Home>New Songs>CyHi The Prynce Songs> CyHi The Prynce & Kanye West Reunite On "Dat Side"
It's been a minute since we heard from CyHi The Prynce. He's been one of the few artists on G.O.O.D Music that's had a promising career that hasn't necessarily blossomed to the position where it should've been. Earlier in the year, he told us he had a single with Kanye West on the way. While we weren't sure exactly when it would be dropping, it looks like it'll finally see the light of day. CyHi The Prynce finally unleashes his new single, "Dat Side" featuring G.O.O.D Music head honcho, Kanye West. It's the new anthem to address the haters. The piano heavy track has a catchiness to it with it's repetitive hook, asking his haters to distance themselves from him and to head on over to "dat side." Kanye later comes through with his own verse, addressing being the only black person in his neighborhood and delivering his Kanye charm with every bar. While CyHi's been quiet for a minute, this is definitely the single he needs to propel his career and build the anticipation for No Dope On Sundays. Earlier in the day, CyHi shook up the internet after he previewed the new single on social media. He posted a clip of him dancing a long to the song before introducing Ye's verse, saying "Shouts out my patna 'Ye, ain't got nun to say," before unveiling a tidbit of Kanye's verse on it. "Dat Side" is the second single he's released off the project so far. He previously dropped off "Movin' Around" which featured ScHoolboy Q. He already said his album's done so it's looking like CyHi is finally gearing up to drop his debut album and we couldn't be more excited for it. 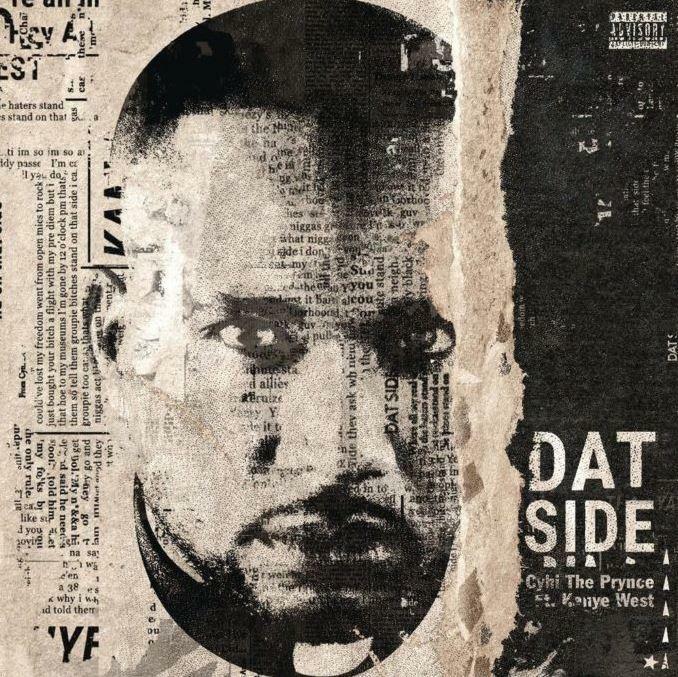 SONGS CyHi The Prynce & Kanye West Reunite On "Dat Side"